Starting today, Starbucks customers can order the Pumpkin Spice Latte. Just in time, the weather in Seattle has turned fall like. (Yes, I realize that there are still hot areas of the country in September!). You can order the Pumpkin Spice Latte as a Pumpkin Spice Frappuccino too, for those of you in hotter weather locations. I enjoyed it early at the Starbucks headquarters on August 12, 2016, and ordered one again today. It’s sweet and delicious! 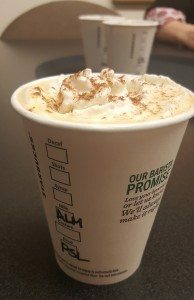 Starting Saturday, September 3, 2016, Starbucks Reward members can order the new Chile Mocha, which is made with a special cocoa powder, not the traditional Starbucks dark mocha sauce. The Chile Mocha will be available to all customers beginning on Tuesday, September 6th. The Chile Mocha is topped with a powdery topping which includes cayenne pepper, paprika, sea salt, ancho chile, cinnamon and a little sugar. The paprika is primarily what gives it its nice red color. The ancho chile definitely gives it a little kick. 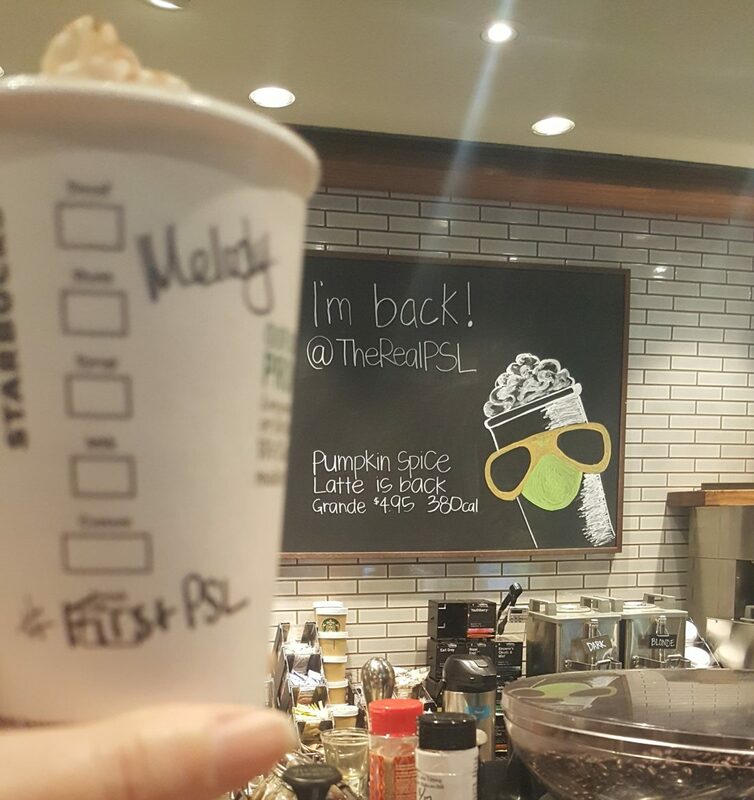 I got an early sip of this beverage at the Starbucks headquarters at the same time that I tried this year’s PSL, on August 12th. This is definitely for the Starbucks drinkers who want to amp up the kick and spice in their drink. The cup code for this new beverage is CHM. Don’t forget, beginning next Tuesday, you can order either of these limited time offering beverages (or any other drink) with the new Starbucks almond milk, if you are in one the areas that will get almond milk starting the 6th. Eventually all Starbucks locations will have almond milk, but starting on Tuesday, September 6th, it will be available in 4,600 locations, primarily in Pacific Northwest, Northern California, New York, Northeast and Mid-Atlantic regions. The new Starbucks almond milk is a 60 cent charge and you can find the ingredients for it here. I’m looking forward to trying it soon, though! Child Mocha also not available in Columbus, Ohio. Called the Starbucks bat phone and they also didn’t see the Chile Mocha as early release even though the app let me order it. Ended up with a free PSL. Eric and Chad – I’m sorry to hear of your experiences. 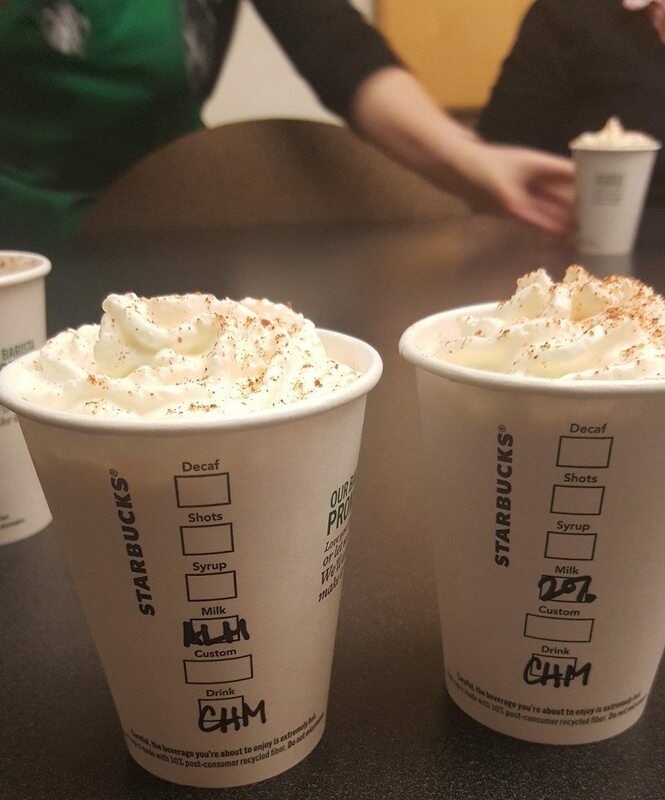 It’s pretty clear that as of Saturday, stores were to just say yes to the Chile Mocha. I always think that for every one person who leaves a comment here, there must be at least a hundred other people who feel the same way. I have had ongoing conversations with the SSC about the fact that there are a lot of “no”s at the register that should be yes, and both of your comments above kind of reflect what I mean. You could call Customer Service also. I am open to try everything new at Starbuckas, and I tried the chili Mocha. Quite possible the worse of the new drinks I have tasted.It was bland other than the overbearing chili, which does not mix well with the sweet as one would think. I get them thinking outside the box, but really, I would be shocked if this sells well. @AmazonV – You tried the Chile Mocha today? Almond milk will eventually get to you! Thank you for the comment my friend. @RC – I noticed a number of comments on Facebook that said the same – there definitely are plenty of customers who agree with you. I always think that for every one comment posted here, a hundred other people felt the same way and didn’t write a comment. Thank you for the comment. 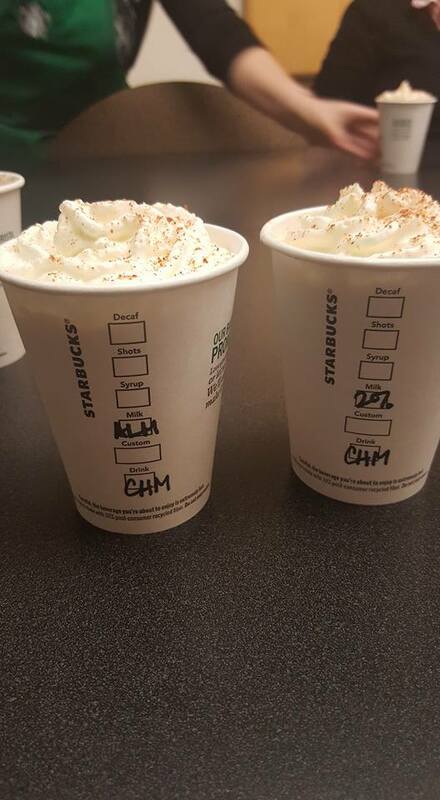 I tried the Chili Mocha yesterday 9/5. I am up for any mocha to try, but I got none of the “heat”. I’ll admit to licking the lid in the hopes of finding some taste in the powder sprinkled on top. The mocha part was good, but no chili was evident & I watched it being made. Seems all steps were followed. I tried the chili mocha today — definitely some nice kick, but the mocha part was too mild for my taste. Needed a stronger chocolate flavor. @Melody yeah my area has big chalk board art/signs up pushing the chili mocha in all 3 stores, probably around sept 4/5? it started.I wonder how the college kids will like it, my area is 50% college kids and whatever they like runs out fast! I hope i get to keep enjoying this all fall. I had it as one of my reward drinks (since I have 1500 stars to use…) and had it made with 4 ristretto shots rather than the standard 2. I agree with Miradan, it needs more cocoa. The chili did its job balancing out the sweetness, and as the whipped cream melts and dissolves into the coffee part, the chili also gets into the mix. This is why I wouldn’t want this in a Frapp form – the chili would just stay on top and not sink in. I thought the Chile Mocha Frappuccino was very good when I tried it this week. I have wanted to see something like this happen for a long time. Chili taste very good with dark chocolate, which it is normally paired with, but I thought it did very well with mocha which is lighter in flavor. @Tex – Mine didn’t have chili powder just sprinkled on top. Chili was blended into the Frappuccino. I’m not sure which of ours was made right or wrong, but mine was made just as I expected it to be. That is if I am understanding you correctly.